Home/Articles/Considering promotion? What’s on your mind? Considering promotion? What’s on your mind? You have heard rumours about the assessment but nothing concrete. The tests seem to vary and there never seems to be enough information. It’s adding to the pressure. You think you’re ready for the career jump, but can you be bothered with all the hurdles? You don’t know when there will be another chance and its flattering that your contribution has been recognised, so you may as well go for it. It would be good to know more about the assessment so you can give it your best effort but no one seems to say the same thing about it. You know a bit about the assessment exercises but could do with learning more. You are anxious to start studying for it as you don’t know when another promotion opportunity will come along and you need to make sure you are fully prepared. Its hard to know where to start or what to focus on. You’re getting conflicting advice so starting to think you’ll somehow need to find the time to learn EVERYTHING! Can YOU relate to any of these?! At the moment, the mechanisms to assess applicants for promotion vary across different FRS. In the past it was consistent; there was a National Assessment & Development (ADC) Process so everyone knew what to expect. As this process lost popularity (and it wasn’t that popular to start with! ), FRS’s started to drift away from this model and use their own tools. Some FRS are using assessment exercises such as (some, but not usually all) an inbox, roleplay, presentation, interview or psychometric testing but are steering clear of calling this an ‘ADC.’ These exercises examine managerial/ personal qualities and skills. Some FRS are using one or two of the above exercises but also emphasising operational/ knowledge-based skills. They are including technical tests in their assessment e.g. an operational scenario and/ or exams. Some FRS are not using any ‘managerial’ type assessment exercises and focusing on operational competence and perhaps an interview. Any promotion process is a big challenge. There is a great deal at stake and FRS’s don’t tend to be able/willing to give you the help that you need. It can be frustrating not knowing where to find help, and without the right guidance it can be difficult to know which direction to channel your efforts. When you haven’t got enough time in the day as it is, the last thing you need is to waste time in irrelevant learning or memorising. The good news is that we have a range of options to develop your skills and maximise your professional potential. It’s just up to you when you choose to access them. 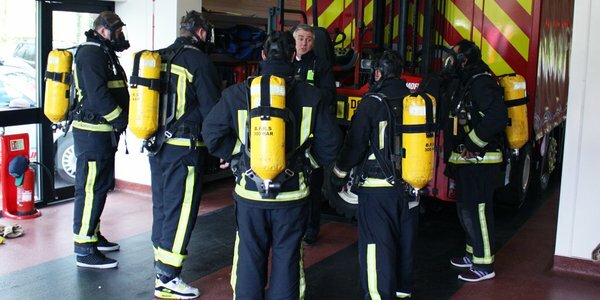 We provide the only comprehensive support available for Firefighters approaching an ADC (or other assessment activity for promotion) and have been successfully helping Firefighters achieve their career potential since 2007. The MOST burning questions of the last 10 years! Is a Watch really close-knit? Why do people you don’t rate keep getting promoted? !